Leading a supply chain’s transformation from a tactical to a strategic approach can make even the most seasoned professional gulp. It’s a big change, and nobody likes change. If you do it right – with a foundation of automation and data – it requires a capital investment. But the supply chain is changing rapidly, and sticking with your outdated processes will end up costing you even more. So let’s take a look at what strategic procurement really is and why it’s so important. If asked to describe the day’s accomplishments, would you talk about how many orders your supply chain processed, how many trucks you dispatched, and the problem-solving steps you took when a delivery of much-needed raw materials failed to show up as scheduled? If so, your supply chain is probably still operating from a tactical mindset rather than a strategic one. Strategic procurement is all about looking ahead, anticipating future needs and changes, and adapting proactively — like using big data analytics to reduce waste in receiving or providing your truck drivers with navigation tools that seamlessly steer them away from accidents and construction, thereby reducing wasted time and fuel. It’s about the best, most efficient way to get today’s tasks done. Strategic procurement focuses on the supply chain as a whole and uses costs and other metrics to identify – and then capitalize on – opportunities for improvement. When a supply chain is simple, the risks are manageable on a day-to-day basis. The more complex things get, however, the greater the impact of missteps becomes. What are Some Examples of Best Practices? Layering strategic procurement practices on top of broken processes might garner some return – but you’ll miss out on so much more. That’s why it’s important to start with an assessment of what’s currently working – and what’s not. Which processes are inefficient? Which steps are unnecessary? And what are possible solutions? Are you buying the same thing from multiple vendors? If so, is it intentional, or is each department of your company doing its own thing? Eliminating redundancies can reduce costs and help you take advantage of volume pricing. What about automation? How does the cost of automating compare to the labor costs involved in having employees repeat the same, tedious tasks all day? What’s the cost of errors, and can automation help offset it? When it’s done – it’s not really done. The ripple effect sticks around for a while as people’s jobs change and they have to get used to a new way of doing business. A comprehensive change management plan can be the difference between success and failure. Today’s supply chains have the opportunity to claim a seat at the table and have a significant impact on the bottom line. Strategic procurement is the key that opens the door. 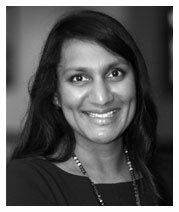 Radhika DeLaire is the Vice President of Technology for AFFLINK and has more than 15 years experience in technology strategy and technology management. She is passionate about creating innovative technology solutions for supply chain optimization. When she’s off the grid, Radhika enjoys listening to live music, volunteering, and international travel.